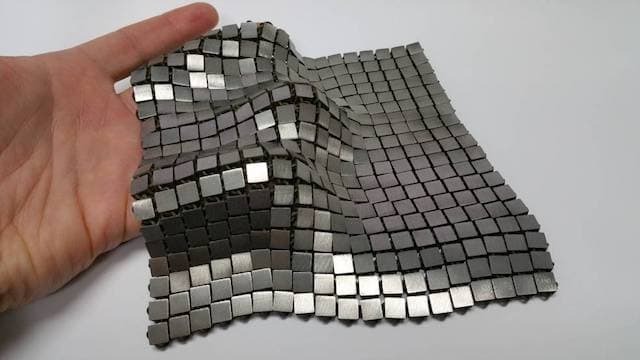 NASA's systems engineer Raul Polit Casillas, along with his colleagues at NASA's JPL have designed 3D printed metallic 'space fabric' that is getting ready for future space missions. These special fabrics will be useful in shielding spacecrafts from meteorites or even capturing samples from other planets. For example, NASA's future mission to Europa may make use of this fabric to insulate the spacecraft from extreme colds and even form a protective layer on the uneven surface for the rover to move. The 'space fabric', as it is called, looks like an array of silver blocks strung together. It isn't hand-made; but 3D printed using highly advanced technology. Unlike the traditional manufacturing techniques used in industries where each part is welded with other, 3D printing works by depositing material in layers. It's highly efficient and reduces the overall cost of manufacturing as well. Andrew Shapiro-Scharlotta from the JPL said that the team is just scratching the surface and expects that very soon, they'll be able to produce highly efficient mechanical designs. As you'd guess, the space fabric has to have four main qualities: "reflectivity", "passive heat management", "flexibility" and "tensile strength". The space fabric can reflect light from one surface and absorb it from another, allowing it to exercise thermal control. Casillas and team want to use their fabric in space and even manufacture it in the space itself. He believes that in future, the astronauts will have the capability to 3D print materials they need right in space and even recycle the old material. Read more about the research on the official source link below.